The British Chamber of Commerce in Cambodia has worked with the Linguaphone Group for the last year, and helped them successfully select and assign a new Master Franchisee for their pre-school English language program, Pingu’s English. They are now working with the Linguaphone Group a suitable Master Franchisee for our Direct English language program for adults across Cambodia. Here Ritchie Munro, Executive Director with the British Chamber of Commerce in Cambodia, shares their thoughts and advice for anyone considering investing in the Cambodian market. 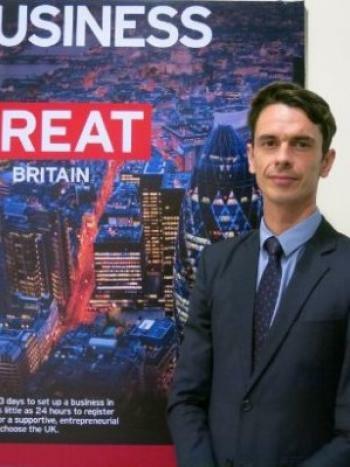 What is the key role of the British Chamber of Commerce in Cambodia? The British Chamber of Commerce in Cambodia has been established since 1995. Our core focus is to provide a forum for British business people in Cambodia to meet and develop their networks for mutual benefit, with a view to fostering good commercial and social relationships within the Cambodian business community. We do this by assisting our members in building their networks, connecting our members to each other, creating business opportunities and offering business to help them to grow their businesses. Why should an investor consider Cambodia to develop a nationwide English training business in? The Cambodian market has some unique traits that make it a desirable marketplace for businesses to explore investing in. It offers strong economic growth, that has seen the GDP grow by an average of 7% over the past 20 years, making it constantly rank in the top 5 fastest growing markets in the world. What’s more, the Cambodian population is also young and dynamic, with 50% of the county under the age of 25. It is also a relatively easy place to set up a business as a foreigner, with no foreign ownership restrictions, easy access-to-work permits and visas. It is also seeing rapid expansion in the education sectors, as well as in construction and the service sector. What is the potential of a strong English language training program such as Direct English in Cambodia? What is your impression of the franchise market in Cambodia? The franchise market is a large part of foreign brands coming to Cambodia. The model works well as the growth of consumerism here is leading to an increased demand for established international brands. We have seen a huge number of foreign brands arriving in the past five years, including; Nike and Adidas, Costa and Starbucks, as well as luxury car brands like Jaguar Land Rover. These are often brought in under a franchise style or joint venture agreement, as brands look for an established local operator that already understand the Cambodia market, its consumers and how to drive the brand locally. Are you able to offer any advice to potential Nationwide Entrepreneurs interested in the exclusive franchise rights to Direct English across Cambodia? For local companies in Cambodia and neighbouring markets, looking to secure the rights to Direct English, I would suggest that they have the facilities, faculty and networks in place or planned to bring such a well-respected brand to Cambodia, or if not, the ability to do so. To represent an international brand such Direct English it’s essential to understand the market, the demand and fully evaluating the opportunity. Want to have more info on how to expand your education Business in Cambodia?